Tehken (Tecmo) released platform arcade yarn Bomb Jack, which duly led to the CPC's home conversion 2 years later. You take control of the titular cartoon superhero, where you have to rid each stage of bombs by collecting them, avoiding the enemies chasing you in flight. Fast paced and fun, the Amstrad version is extremely well presented with great use of sound and visuals. 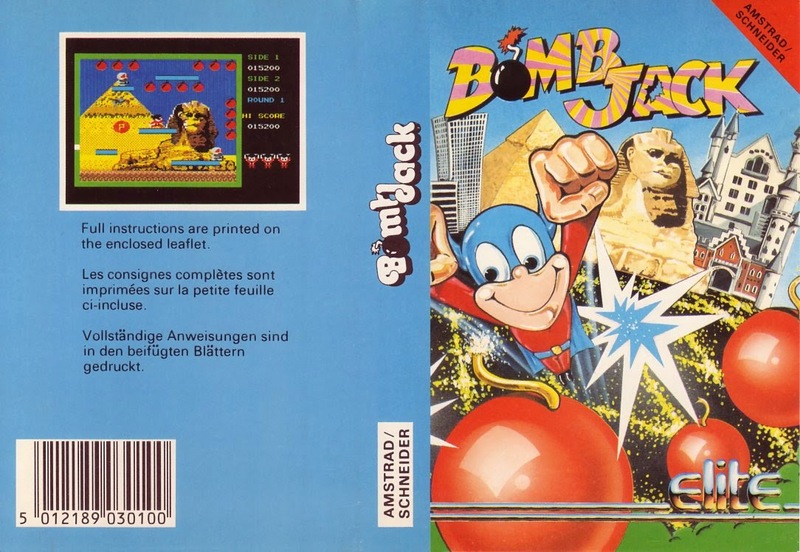 It's very playable without being too taxing, and led to a sequel which strangely changed the platform format, removing Bomb Jack's ability to fly. This is a game which saw the excited lil' Bug glued to the monitor. Amstrad CPC coverart cassette edition.